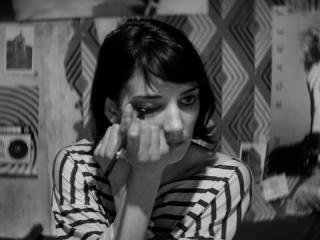 Ana Lily Amirpour's debut feature, A Girl Walks Home Alone at Night, is a terrifically stylized, black and white vampire film set in a fictional Iranian dystopia called Bad City. Writer and director Amirpour will join AFS for this screening and share the story behind the making of her film. $10 general admission; Discounts available for AFS members.